RUSSIA INC. This report from Awara on Russia’s economy is much better than the one I mentioned last time. The authors argue that the Putin Team saw sanctions coming and proofed the economy against them: “Russia now has the world’s most self-sufficient and diversified economy capable of producing anything possibly made in the world. Russia is now for the first time in its history food self-sufficient while simultaneously exporting more food than ever before. With this clout, Russia is prepared to withstand the economic siege, that the US regime is hatching.” And it’s armed to defend itself. The sanctioners did not, as they thought, “have good intelligence“: “The single biggest error was to believe the propaganda lie that the Russian economy was totally dependent on oil and gas. Here they foolishly confused the share of oil and gas in total exports – which was and remains at the level of 60% – with the share of these commodities of the total economy, which in 2013 was 12% (today 9%)”. In short, Russia is well-positioned to go it alone. (It doesn’t have to though, all the countries on Washington’s hitlist are potential collaborators). As I like to put it, Russia has a full-service economy, few others do. I recommend reading the report (testy in parts, but given the mountain of anti-Russia nonsense, that’s forgiveable). TURKSTREAM. Another big step with completion of the offshore section. WESTERN VALUES™. The next time the US State Department solemnly declares some country’s election “undemocratic”, just laugh: ballot harvesting in CA and NC. AMERICA-HYSTERICA. Finally we learn what Flynn’s “crime” was. He may have corroborated Pence’s erroneous statement that there had been no contacts with Russian officials and, like so many others, he lobbied for a foreign government. (His real crime, of course, was revealing Obama’s and that is why he had to be taken out first.) I hope this begins the end of the Mueller farrago. NUGGETS FROM THE STUPIDITY MINE. Guardian prints fake story, gets caught, some ex-CIA guy suggests Putindunnit. “They had 17 aircraft, we have 48 missiles – I think we’re going to win that one.” In the real world, just before they noticed anything, the first Kinzhal would have slammed in at Mach 10. GEORGIA. Salome Zurabishvili is the new President of Georgia. She, a quondam French diplomat, was Saakashvili’s Foreign Minister (salary paid by Paris, BTW) until she had enough of him and quit. Always wondered whether Paris’ relatively rational view on the 2008 war owed something to her. CW ATTACK? WHAT CW ATTACK? “More Than 100 People Wounded In Aleppo Chemical Attack: Syrian Officials“. “The West Stays Mum About Aleppo Chemical Attack“. Not a hard deduction. UKRAINE. No one expects that Poroshenko can be re-elected, no matter what fraud he pulls off. And nothing to suggest that his erstwhile supporters in the West want him any more. The simple truth is that post-Maidan Ukraine has been a comprehensive disaster and a new President (Tymoshenko is ahead and she’s no friend) will need someone to blame. And who better than Poroshenko? So his choice is to finagle his way out of the election or join Saakashvili in the Formerly Useful Club with an arrest warrant on his head and no money. Hence the stunts: the church robbery and now the Kerch Straits adventure. (I doubt your Local News Outlet told you that Ukrainian military vessels following the Russian rules quietly passed through in September.) He tried to get out of elections by declaring martial law but his opponents forced a limitation: only a month and only in Novorissiya and bordering Transdnestr (where he wouldn’t get any votes anyway). So that option has been blocked for the moment. (Another something your LNO outlet hasn’t told you: in early November the martial law regulations were amended to allow deportations. Almost as if it was planned, eh?) What’s left? Start an attack on the eastern rebels and claim Russia invaded? Plenty of rumours of that from both sides. (CW attack? 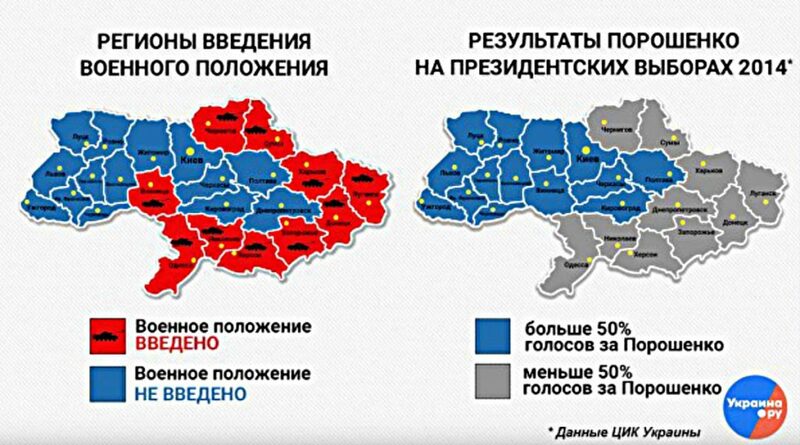 Alleged Russian buildup.) There are always rumours of an imminent Ukrainian attack and I usually discount them; I am less willing to do so this time because of Poroshenko’s desperate situation. If Kiev does attack, it will be another defeat. MH17. A lawsuit is possible. Not sure what to think: a real trial, with real evidence and real argument would be a good thing; another precooked show not. Are real trials still possible when it’s Russia?